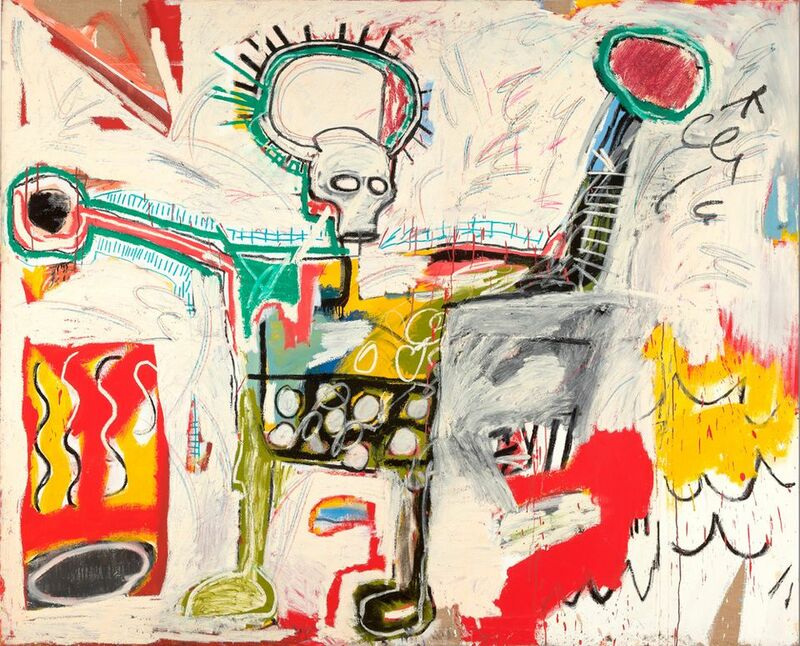 The last Jean-Michel Basquiat exhibition in London was, remarkably, a 1996 show at the Serpentine Gallery of around 20 works. Now, the one-time graffiti artist who became a star in the 1980s (and died of a drug overdose in 1988) is the subject of a much grander survey. Around 100 of his major works, accompanied by an extensive film and live programme, have come to the Barbican Centre this week (until 28 January 2018). Among the items in Basquiat: Boom for Real are small works referring to Duchamp, Jackson Pollock and Roy Lichtenstein, among others, which reveal how Basquiat “ate up every image, every word, every bit of data that appeared in front of him”, as the late American writer Glenn O’Brien once said. A major exhibition of works by Jasper Johns opens at the Royal Academy of Arts tomorrow (23 September-10 December). More than 150 paintings, sculptures, drawings and prints—including some of his most famous works—will be included in Jasper Johns: Something Resembling Truth. The exhibition will look at Johns’s use of symbols and language, his musings on paintings as physical objects, and on time, transience, memory and mortality. Although Johns has rarely discussed his relationship to other artists, the show will examine works referencing (through words and titles) artists and poets from Alfred Lord Tennyson and Samuel Beckett to Vincent van Gogh. Hungry and thirsty shoppers at Xu Zhen’s pop-up Chinese supermarket at Sadie Coles HQ gallery are doomed to be disappointed. The shelves may be heaving with packaged goods for sale, but all of them are completely empty. The Shanghai-based artist’s Supermarket installation—a double critique of the onward march of global capitalism and the arbitrary logic of the art market—is on show for the first time in the UK, after stints in Shanghai, Singapore, New York and Miami. “Fill the void!” is its slogan. The project runs parallel to Zhongguo 2185, a sci-fi-inspired group show of works by ten young artists from China (both until 4 November).